In only a few days, London Mayor Boris Johnson will decide the fate of the iconic Walthamstow dog track. His decision will have a direct impact on thousands of greyhounds, and we need your help to make sure he sides with the dogs. Countless greyhounds suffered and died at this track before it closed in 2008. Since then, a housing association has purchased the site, and announced plans to repurpose Walthamstow as affordable housing. This housing plan has been approved by local officials, and has been sent to Mayor Johnson for a final decision. According to news reports, the Mayor will announce his final decision on Walthamstow on Wednesday, October 24. Dog race promoters have spent the last few years trying to resurrect greyhound racing at Walthamstow, and are pressuring the mayor to reject the housing plan. The choice that Mayor Johnson faces is a simple one. He can either support affordable housing, or he can instead support industrialized cruelty. 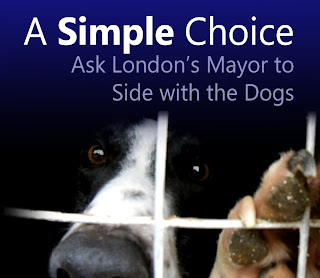 Please contact Mayor Johnson right away, and ask him to side with the dogs. Tell him that greyhound racing is cruel and inhumane, and should not be allowed to return to Walthamstow. Also, if you are a greyhound adopter, please send him a photo of your rescued friend. With only days left, it is critical that we let Mayor Johnson know what is at stake in this decision. 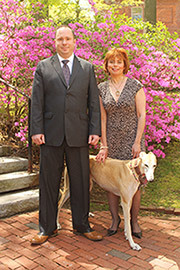 I've already sent my e-mail to the mayor, and included a photo of rescued greyhound Zoe. I told him how important Zoe is to me, and asked him to keep her in mind when he makes this important decision next week. Please send your e-mail to Mayor Johnson today, and then ask other animal lovers to also help with this campaign. Together we can give British greyhounds a voice, and make sure they are heard on this important issue.